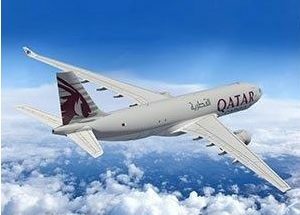 Qatar Airways has introduced a new online payment scheme for bookings made on its website exclusively for customers with credit cards issued by Indian banks. The new payment option now makes it possible for passengers to pay for their booking through monthly instalments of 3, 6, 9 or 12 months respectively. The service aims to ease and enhance passengers’ travelling experience by making their booking transactions much more affordable and flexible. It also makes it easier for travellers planning to fly with family and friends, with only a minimum installment fee needed to be paid to complete the purchase. Naveen Chawla, Senior Manager Commercial–ISC, Qatar Airways said, “The launch of the new EMI option gives our passengers tremendous benefits as they can now book their tickets online at their convenience through our website, and also instantly access our latest offers. Through this new user-friendly and affordable payment scheme, Qatar Airways passengers with credit cards issued by Indian banks will now have greater flexibility when it comes to planning their travel itinerary. Those who previously couldn’t book online due to their credit limit or a large outstanding balance will now be able to pay for their bookings effortlessly using their credit card. This service is testament to Qatar Airways’ ongoing commitment to be innovative when it comes to enhancing the travel experience of our customers.” Qatar Airways currently operates 102 weekly flights between Doha and 13 destinations in India, including Ahmedabad, Amritsar, Bengaluru, Chennai, Delhi, Goa, Hyderabad, Kochi, Kolkata, Kozhikode, Mumbai, Nagpur and Thiruvananthapuram. 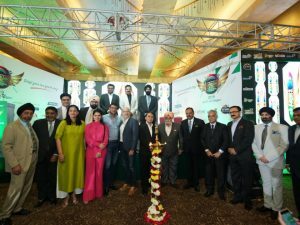 With around 1200 registrations over two days, the 7th edition of the Global Panorama Showcase Nagpur concluded on January 22, while setting a new benchmark in Tier II and III markets. The show witnessed buyers from more than 85 cities with 100 exhibitors showcasing their products and offerings. The event was inaugurated during a glittering ceremony amid the presence of chief guest, Tan Sri Dato’ Sri Dato’ Richard C K Koh, Founder & GMD, Only World Group, Malaysia and other dignitaries including Gulshan Pal Singh Anand, Chairman, GPS; Claude Blanc, Portfolio Director, Reed Exhibition; Sunil Kumar R, President, UFTAA & TAAI; Anil Parashar, President & CEO, Interglobe Techologies; Jagat Mehta, President, Enterprising Travel Agents Association; Arun Anupam, Country Head & Senior Vice President, CVENT; Vishal Bhatia, Country Manager, Visit Britain and Manish Gadia, CA, GMJ & Company. Tweaking the format this year, GPS has created a forum called KIT (Knowledge-Inspiration-Training) Talk. 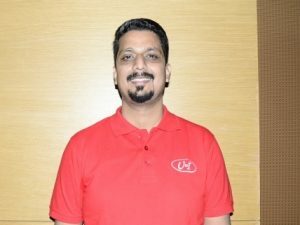 U&I Holidays is all set to launch its online portal, www.uandiholidays.net on February 2, 2018, which will be accessible to all tour operators to make reservation for Bali and Maldives. The B2B portal will help tour operators to book hotels, tour transfers, meals, and customised packages for Indonesia. U&I Holidays, being very keen to extend the business focuses on promoting MICE 30 per cent higher than 2017. 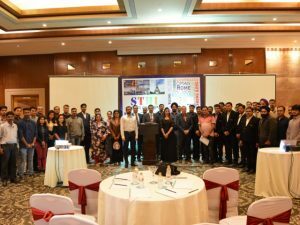 Apart from the six-city roadshow the company also plans to conduct a training programme for Tier-II and III cities from March 2018 focusing on the cities which are unaware about Indonesia. And the target cities for the same programme are Raipur, Indore, Jaipur, Nagpur, and Kochi. 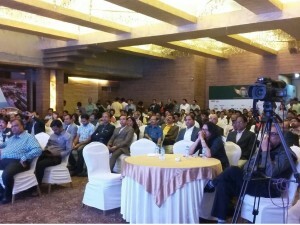 In its last leg for the year, Global Panorama Showcase (GPS) hosted it’s first ever showcase in the city of Pune. The Pune edition of GPS witnessed a response of 900 plus registrations. 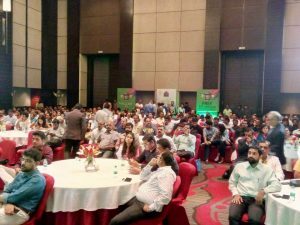 The first day which included product presentations and GST session by CA Manish Gadia, Tax expert, GMJ &Co had a attendance of over 350 plus attendees. 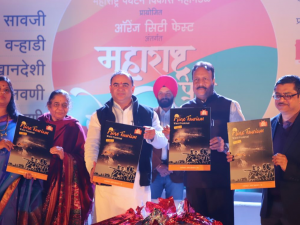 Apart from buyers from Pune the attendees include buyers coming from cities like Nashik, Satara, Sangli, Kohlapur, Ahmednagar, Baramati, Karad etc. 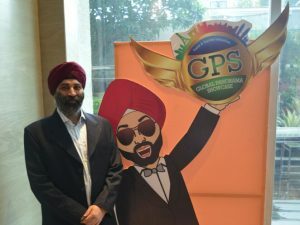 Next year, GPS will continue to showcase at Nagpur, Ahmedabad, Chandigarh, Kolkata, Kochi and Pune. GPS will also be introducing Lucknow as a new city in 2018 and is also looking for other probable cities to host the exhibition. 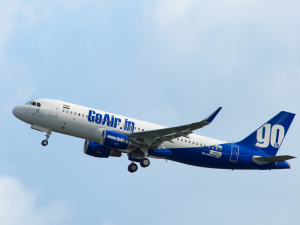 GoAir starts two additional flights out of Pune. Effective May 19, the airline will start daily flights from Pune to Bengaluru and Kolkata. 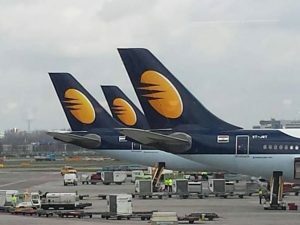 The airline will now provide non-stop connectivity from Pune to Bengaluru, Ahmedabad, Chennai, Nagpur, Delhi, and Kolkata. The city of Pune and state of Maharashtra both play an important role in GoAir’s network. The new routes aim at connecting Pune across its network and providing passengers flexible options in planning their travel.